If you want to do something that is better for the environment and will keep you away from the gas station, buying an electric vehicle is a probably a good choice for you. However, there are costs associated with buying one besides the price of the car, and there are other things you should take into consideration before making your purchase. Here are five things you should know before you put down the money and buy an electric vehicle. Okay, so you will stay away from the gas station, but you will still have to pay to charge your vehicle, and it will increase your power bill. If your power is generated using fossil fuels, you may not be having as much of a positive impact on the environment as you would like to. The good news is that this power cost should be much lower than the cost of fuels. The other good news is that you can explore alternative energy sources. Consider solar to power your car charger, or even installing solar for your entire home. It will save you money, and if you produce excess power, you can actually make money by selling it back to your local utility. If you are going to own an electric vehicle, you will need a home charging system, and they vary greatly in type and price. 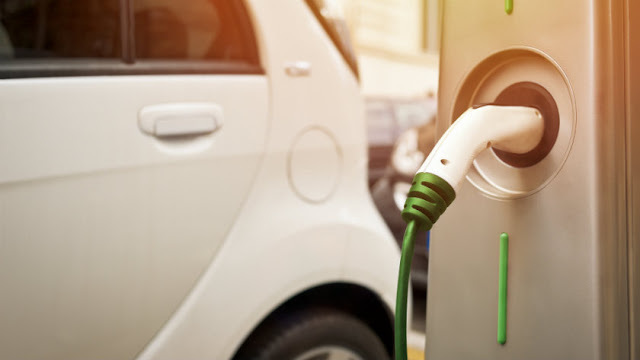 You can shop around for the best electric vehicle chargers, but here are some basic types and costs that will help you make the right decision for you. ● Plug In Chargers: These chargers plug in to your current electrical system in your home, and although the require a high amperages circuit (at least 40 A, but preferably 50), they are the easiest to install. They are also easy to upgrade as you can simply unplug and replace them. Usually between $500 and $800 depending on brand, strength, and appearance. ● Hard Wired Chargers. Instead of being plugged in, these chargers are wired into your homes wiring system. These require an electrician to install them, and if you want to replace or upgrade them, you will need an electrician to do so. These are generally more efficient and cleaner looking, and many home owner’s insurance companies require that your charging system be hardwired. They range in price from $800 to $1200 installed. No matter what system you choose, an in-home charger is an investment, and it will cost you up front. In the end, it will pay for itself, but just be aware that you will have to lay out some money initially. One of the most important considerations when you purchase an electric vehicle is the effective range. With hybrid models, you can run off gas if you need to, but with fully electric models you will need to charge your battery before you can really go anywhere. The range of your vehicle will depend on whether you can commute in it and run local errands or whether you can take it on your family vacation. Some electric vehicles have a range of around 80 miles or so. Others like the Tesla have ranges of well over 200 miles even at freeway speeds. To decide what vehicle is right for you, you will need to determine exactly how you plan to use it, and make sure you have the range you need. Let’s say you do purchase a vehicle with a shorter range or you commute a long distance to work. Does that mean the vehicle won’t work for you? Not at all. What it means is that you need to pay attention to where you can recharge. Recharging with a fast charger can take place relatively quickly, and if there are chargers near where you work, this could be an easy thing for you to handle. There are also chargers being installed various places who offer parking exclusively for electric vehicles. Grocery stores, malls, movie theaters, and more are starting to install charging stations that encourage people to take advantage of electric vehicles. There are maps online that will tell you where chargers are nearby, so you can plan your trips accordingly. Your insurance will change with an electric vehicle, but it should come as no surprise that it may actually go up, and some studies show that increase could be as much at 15% with some companies. One of the reasons is the cost of the vehicle, and the other is the cost of repairs if you were in an accident. Until electric cars become much more common, this will probably continue to be the case. Although the safety features on electric vehicles often surpass those of their gas cousins, insuring them will be more expensive at least for now. Electric vehicles are our future, along with the many other changes happening in the automotive industry. Besides the cost of the cars, there are other less obvious costs and facts to consider before you go purchase one. Still, your purchase and commitment to the environment will help both you and the planet in the long run.